PUBLISHED: Susan Meiselas’ “A Room of Their Own” featured in The Guardian. 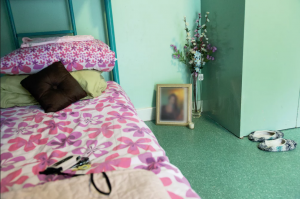 Susan Meiselas, photographer and member of CSSD’s Women Mobilizing Memory and Reframing Gendered Violence working groups, was recently featured in an article in The Guardian about A Room of Their Own, her new book of photos documenting residents of women’s refuges in Black Country, England. Read the article and see images from A Room of Their Own here.